Portland, Oregon, has long been a favorite travel destination for families, with its distinctive neighborhoods, walkable center, and wide-ranging dining options, from quirky-fun to foodie. And thanks to Portlandia, the city's pop-culture status is even more secure. 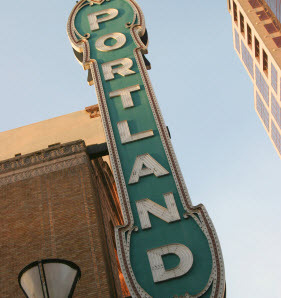 True to life, the real Portland is as endearing as its fictional counterpart. This summer, families can look forward to a world-class mummy exhibit, offbeat bicycles and zoo babies, as well as the city's perennial attractions. In addition to an abundance of kid-friendly activities, there are plenty of unique lodging options (see below for one). Bring along your pooch! Portland is ranked one of the nation’s most dog-friendly cities. The bikes are part of the Embacher Collection from Vienna. In addition to sleek racing bikes, you'll be particularly engaged by the oddities, such as the Capo Elite “Eis,” which has a studded back tire and skate blade instead of a front wheel in order to navigate snowy/icy terrains. 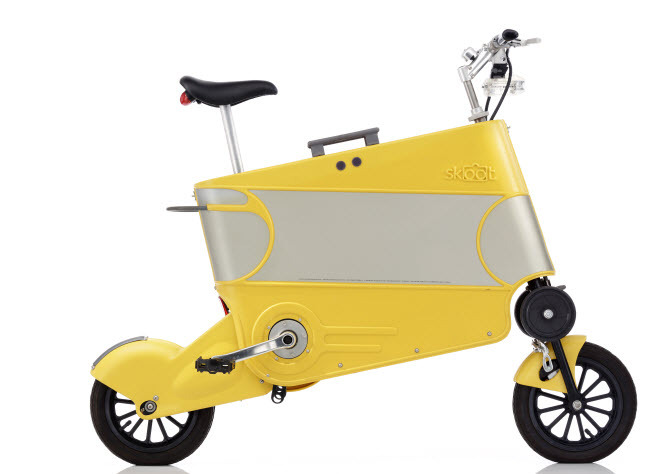 The Skoot International (see above) folds into its own suitcase and the 2008 Taga converts into a stroller (!). Tips: Plan a visit around one of the many special events, such as the Family Day," on August 4, from noon–5 p.m., which includes free museum admission and a host of cycle-centric events, such as a “Fiets of Parenthood” bicycle course and the chance to decorate bikes and participate in creating an oversized bike sculpture. Bike-pulled food carts will offer treats along with Moberi — a bike-powered smoothie bar! The Oregon Museum of Science & Industry (OMSI) is always a favorite thanks to permanent highlights such as the U.S. Navy’s USS Blueback diesel-electric submarine docked outside — made famous in the movie The Hunt for Red October. But this summer it's hosting a true must-see exhibition. "Mummies of The World" (through September 8, 2013) is the largest exhibit of mummies and related artifacts ever assembled. Much of it has never before been on public view. It includes 47 mummies such as the 6,420-year old Detmold Peruvian mummy — 3,000 years old than King Tut. For those only acquainted with Egyptian mummies, this exhibit opens new doors — South American and European mummies, some with hair, tattoos and jewelry. Animal mummies are represented by birds, fish and dogs. Kids will be engaged by the interactive exhibits such as touching replicated mummy skins or watching a video that shows the decomposition process — of a pumpkin, strawberry, a rabbit — at rapid speed. Docents are available throughout the exhibit, and youth volunteers in the “Rising Stars” program offer periodic demonstrations. Kids can watch as apples are mummified or assist with Do-It-Yourself Mummification wrapping a dummy’s torso. Photo: Courtesy of American Exhibitions, Inc.
Only 10 miles from downtown Portland on the Columbia River, Sauvie Island's rural landscape offers an escape from the downtown bustle. The approximate size of Manhattan island — 15 miles long and 4 miles wide — it is one of the largest river islands in the U.S. and home to many U-pick farms and wildlife areas. Kids love driving across the historic St. John’s Bridge to reach Sauvie. The dramatic suspension-style bridge predates San Francisco’s Golden Gate. In 1931, it was the longest bridge of its kind west of Detroit, and the Gothic-style towers still loom large over the Willamette River. Tips: Swing by a U-pick farm for raspberries, strawberries, blueberries, marionberries, flowers and more depending on the season. Sauvie Island Farms is a third-generation operation started in the 1930s and one of many options for family fruit- and vegetable-picking. With Mt. Hood hovering in the background, kids can ride in the wagons along with the daily harvest. In the fall, return for pumpkins, hay rides and more. Excited to introduce the next generation to the games of your childhood? 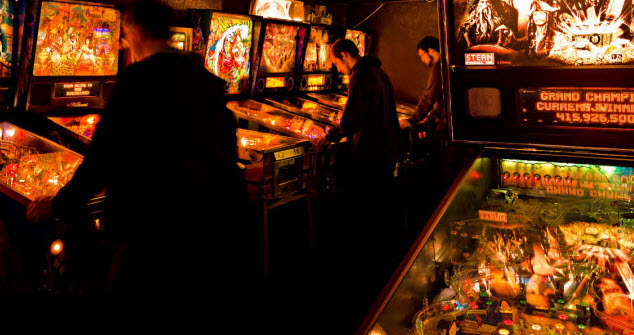 Head to Ground Kontrol Classic Arcade, located near Portland's Chinatown, where you can play dozens of classics including Donkey Kong, PAC-MAN and Mario Bros. plus 26 pinball machines. Best of all, the whole family can play for hours without breaking the bank. Games are set at their original prices of only one or two quarters! Tips: Ground Kontrol is open to all ages until 5 p.m. and serves food. It’s also just steps away from countless restaurants. Powell’s Books, of course, is Portland’s literary Mecca. The flagship store, located in the Pearl District not far from Ground Kontrol, covers an entire city block with new, used and out-of-print books. Kids’ story times at Powell's, launched a year and half ago, are a popular family event. Free to the public, they’re held year-round on Saturdays at the Cedar Hills Crossing and Burnside stores. For summer, Burnside hosts an additional Wednesday reading through August. Upwards of 50 kids attend ranging from infants to early teens depending on the selection. Special events are often planned around the book theme. The Cat in the Hat (from the Oregon Children’s Theater) previously appeared for Dr. Seuss Day. Tips: Try "Musical Story Time" on August 17, where Portland musician Avery Hill explores music and reading with a live banjo performance. ; or Dr. Seuss Storytime, August 24 at 11 a.m., which features a reading of of Dr. Seuss’ McElligot’s Pool, where kids can “fish” for prizes. See Powell's event page for more details. 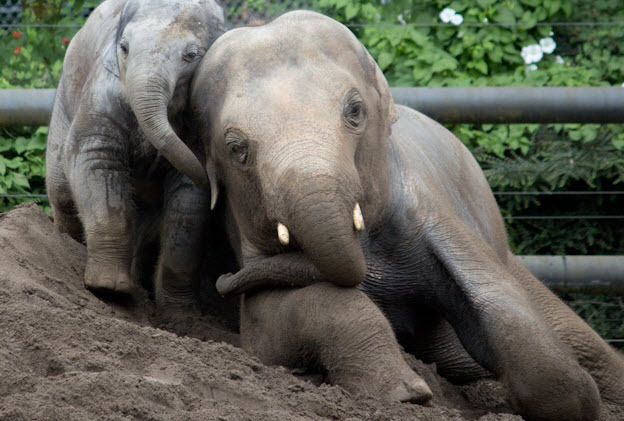 The Oregon Zoo, located in Washington Park, is celebrating its 125th anniversary with an animal baby boom - a new De Brazza monkey, Asian elephant and river otter pup. Augustus, the baby De Brazza monkey born in February 2013, is a huge crowd pleaser. The inquisitive baby shows off for crowds by vaulting through the branches. Lily, the baby Asian elephant, was born in November 2012 and continues to grow by leaps and bounds. Finally, Mo the river otter born in January, inevitably elicits requests for adoption. Tips: Plan plenty of time for a visit; it's experiencing record attendance this year. Admission is discounted to $4 on the second Tuesday of the month, but expect large crowds. Another don't-miss outing is ride the Washington Park Zoo and Railway. 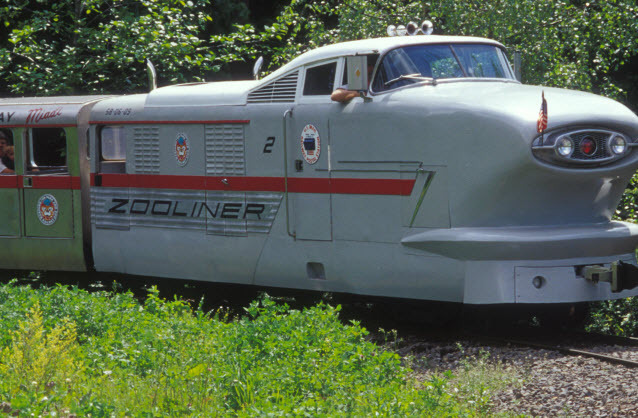 The trains are scale replicas of steam and diesel locomotives and include a sleek, silver “Zooliner.” A charming train depot is located inside the zoo and on the hill located above the International Rose Test Garden. Up to three trains run throughout the day ($5, but you do have to buy zoo admission). Hike some of the park’s 15 miles of trails and then head to the World Forestry Center Discovery Museum to learn about the environment and preservation. Favorite permanent exhibits include being harnessed and elevated 45 feet in the air for a bird’s-eye-view of the forest. The Portland Japanese Garden is celebrating its 50th anniversary in 2013. The 5.5-acre garden is comprised of five distinct sections with upwards of 3,000 plants. It is credited as being one of the most authentic Japanese Gardens outside of Japan. Guided tours are available with admission. The International Rose Test Garden, one of only 11 in the U.S., boasts over 700 rose varieties and 10,000 bushes. Visitors may picnic on the grass between rose beds. Free tours are offered Tuesdays, Saturdays and Sundays at 1 p.m. starting at the Rose Garden Store. Learn and laugh on the all-ages Secrets of Portlandia Walking Tour, which meets daily at 11 a.m. in front of the Pioneer Courthouse to traverse the city, highlighting its history and hidden spots (free, but tips appreciated). Tour guide Erik Kennon grew up in Portland and shares an insider’s knowledge in addition to the history. Stops include Director Park, where kids can play in the public fountain; Leprechaun/Mill’s End Park — the world’s smallest park within a city’s limits; and the often-overlooked Raymond Kaskey sculpture, the nation’s second-largest copper statute, dwarfed only by the Statute of Liberty itself. Tips: The tour averages 75 minutes — sometimes a bit longer or shorter depending on the crowd. Factor in lots of walking for little ones and consider a wagon or stroller. No reservations required. 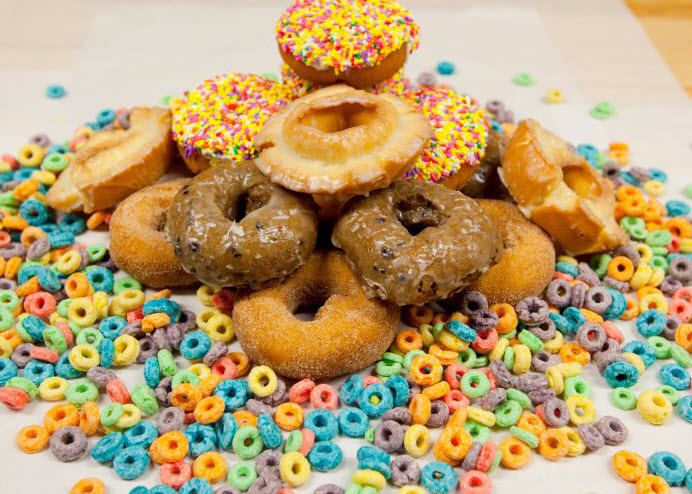 Voodoo Donuts is legendary for its kooky, delicious donuts, from the famous Voodoo Donut — a stick-man donut filled with jelly and an accompanying pretzel stick for “voodoo” poking — to bacon, Captain Crunch, or Oreo-topped donuts. Look for the building with the glitter-brick facade and a long line. Voodoo makes up to 10,000 donuts daily in the summer! Finally, try Bluebird Bakers Cookie Bar, which opened in February 2013. Standouts include the Birdios, homemade, over-sized Oreos — only better! — and Laura and the Gingers, a kicky blend of candied ginger and molasses. Make sure to order a side of milk served in a pre-chilled, ice-cold glass. On warm days, their homemade ice cream sandwiches are to die for — ice cream from local What the Scoop? sandwiched between two giant cookies. Summer vacation is a welcome break from school, but a stay at McMenamins’ Kennedy School is the exception. 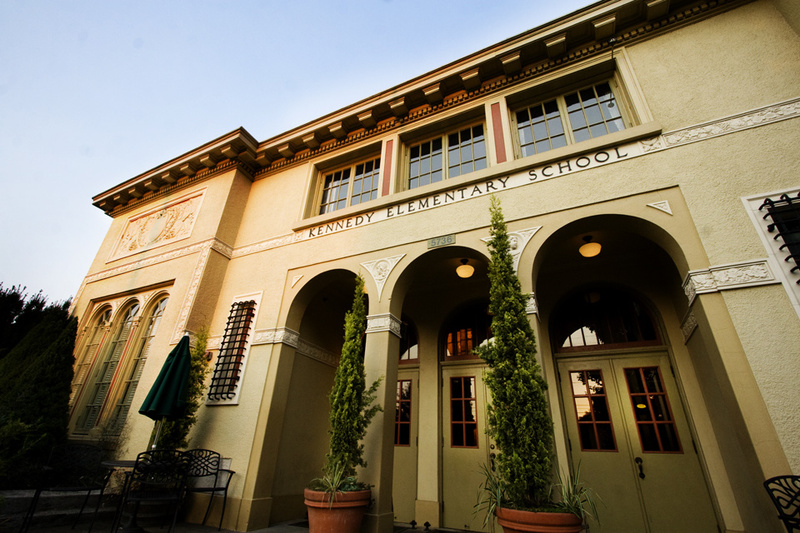 The historic elementary school, built in 1915, was converted into a stylish hotel that opened in 1999. Classrooms were halved to create spacious, whimsically-named accommodations such as the Math or Art Room. All rooms are outward-facing and awash in natural light. Kids are encouraged to write friendly messages on the original chalkboards. 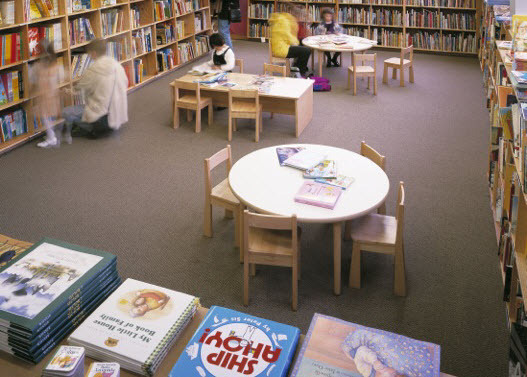 The new English wing, with literary-themed rooms, opened in December 2012, including kids' favorites such as the “Ramona” room. Activities are abundant at any time of the year. Take a self-guided art walk of the artwork that lines the wide, breezy hallways, including murals and former students’ papers and memorabilia. An on-site movie theater in the former auditorium is stocked with couches and plays second-run movies. On warm days, families can relax in the outdoor soaking pool. Families will enjoy the reggae-themed Cypress Room for dinner, where music is played either live or on 45-vinyl records; and adults can stop by the Honors Bar and Detention Rooms later for a drink from the on-site brewery. The original school clock — perfectly round with its traditional white-and-black face — hangs on the wall. It’s frozen in time, stopped at 6:02, when the school closed. About the author: Deanna Duff is a Seattle-based freelance writer who contributes to a wide variety of regional and national publications. She is a member of the Society of Professional Journalists and the Washington Press Association which has awarded her writing. A Northwest native, she grew up working on her family's organic farm and selling at the Pike Place Market. She enjoys featuring and celebrating all aspects of family life.